A distant father, a vodka-fuelled stepmother, a fall of snow and carol singers who are not quite all they seem… These are the far from stock ingredients that add depth and zest to Sean O’Brien’s spooky winter fable. 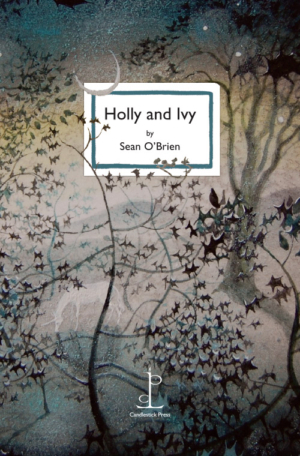 Holly and Ivy is a contemporary and highly original take on the old-fashioned cautionary tale – to be read by the fire when the nights are long and dark, with a big mug of something warm and reassuring. Other new Christmas titles from Candlestick this year are Christmas Garland, Christmas Crackers, Christmas Stocking and Fourteen Festive Sonnets. We are also publishing another seasonal short story: Gift of the Old One. Sean O’Brien is a poet, novelist and critic who has won many literary awards.